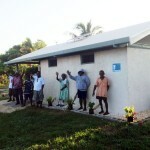 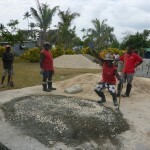 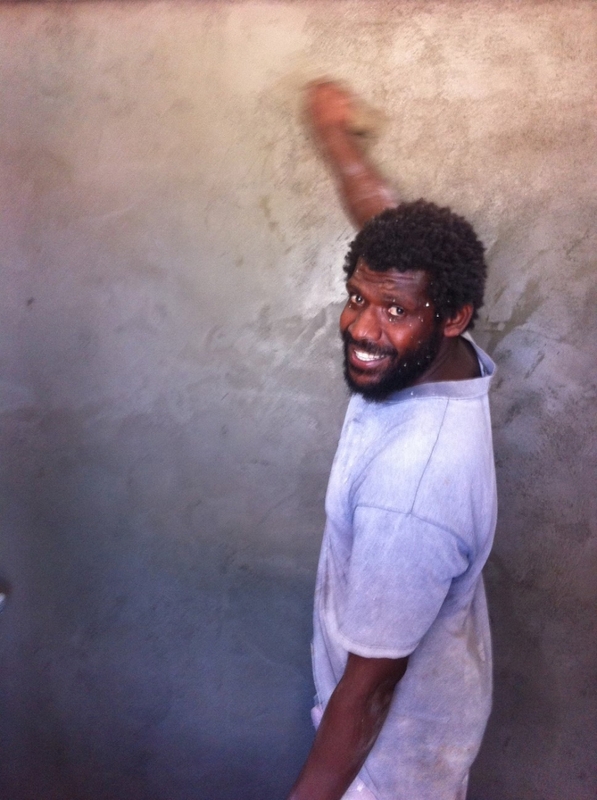 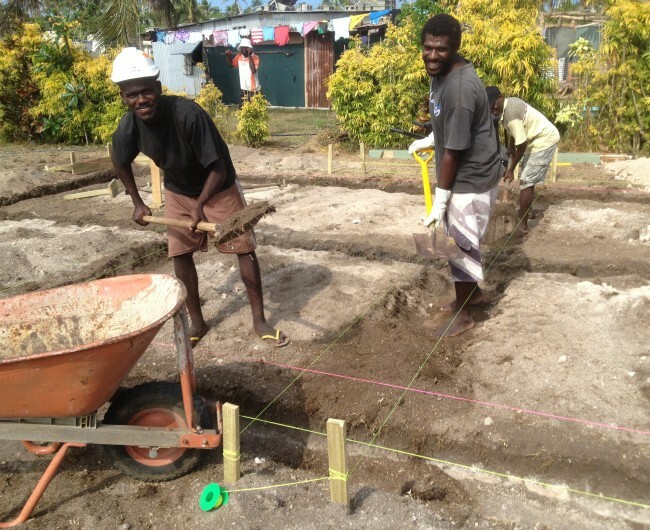 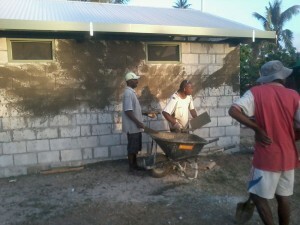 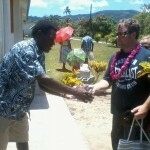 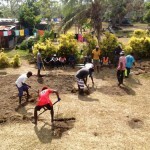 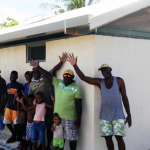 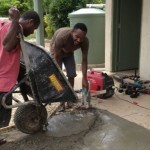 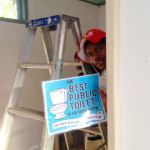 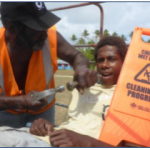 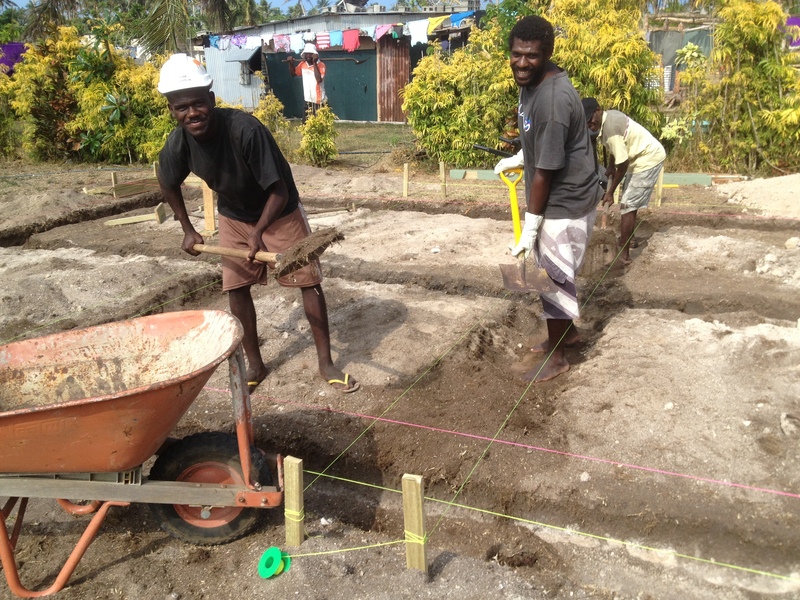 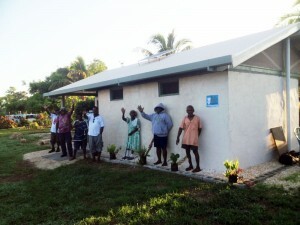 Construction has begun on the much anticipated public toilet in the Village of Paunangisu, North Efate, Vanuatu. 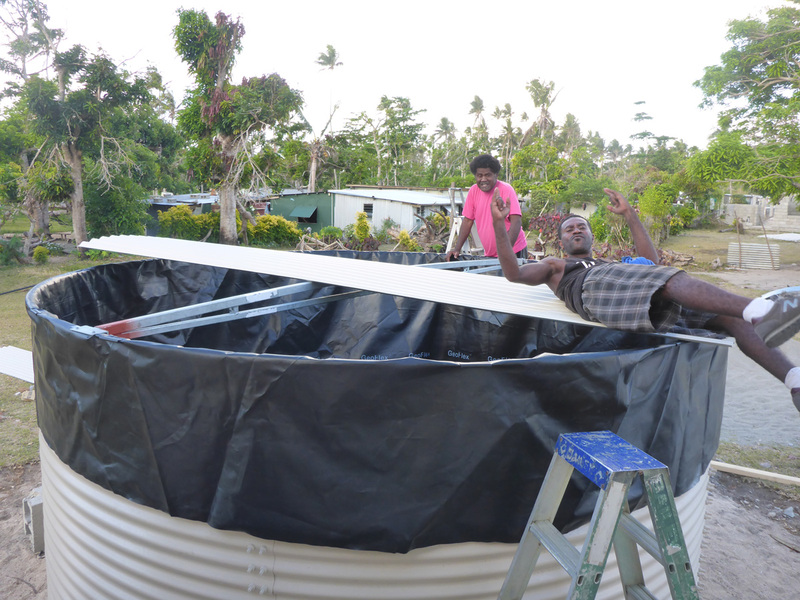 In addition, the 20,000 litre water tank, donated by South Australian company Aquamate has been assembled, with the guttering, downpipes and drains due to be fitted to the main church building in the next few days. 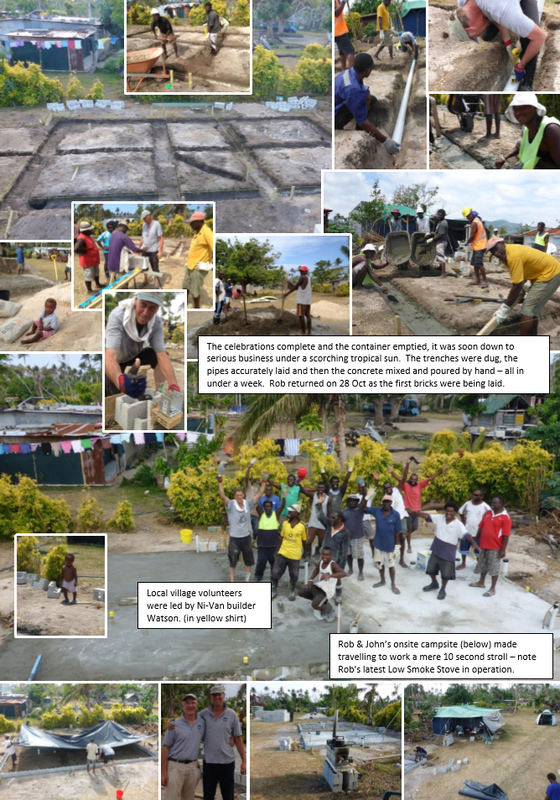 John Land (NZ), Rob Latimer and Mike Clarke have recently been in the village for the big “Commencement Celebration”, with John remaining for a further 4 weeks to oversee the building process to completion. 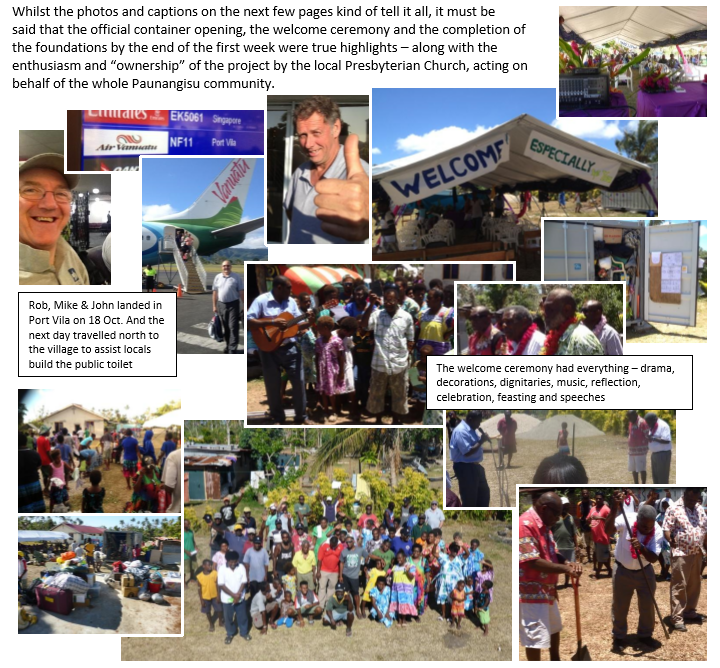 Whilst the photos and captions on the next few pages kind of tell it all, it must be said that the official container opening, the welcome ceremony and the completion of the foundations by the end of the first week were true highlights – along with the enthusiasm and “ownership” of the project by the local Presbyterian Church, acting on behalf of the whole Paunangisu community.